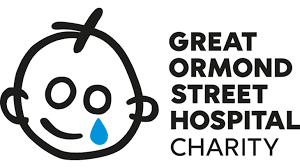 A grand Valentine’s ball was the finale of an amazing fundraising year which saw the West family raise a staggering £135,000 for Great Ormond Street Hospital. Alun Tucker chose to support the challenge during his year as SAIF National President in 2018/19. The West family set a target of £100,000 as the condition which affected Eva, daughter of Jamie and Jade West, affects one in 100,000 babies. Shortly after Eva’s birth, underwent a life-saving operation at Great Ormond Street Hospital and has been under their fantastic care with several more operations since. During the year many people have contributed, including the incredible Three Peak Climbers, Brian Hart, Bob Spittle Catherine Betley, Ross Hickton, Arran Brudenell and Simon Rossitor. A football and rugby tournament, golf days, sky diving, a coffee morning and many other interesting events have also been held. Jeremy West of West and Coe was one of the founding members of The National Society of Allied & Independent Funeral Directors in 1989.